I was torn between relief and despair when I found out on Aug 26 that the last remaining purple martin at the Busch Wildlife Center was released at some point. I had forwarded some information to the folks at Busch Wildlife Center regarding some of the latest, cutting edge information on the releasing of rehabilitated fledgelings. It was on the post Update On Late Nest Martins at Rehabber. 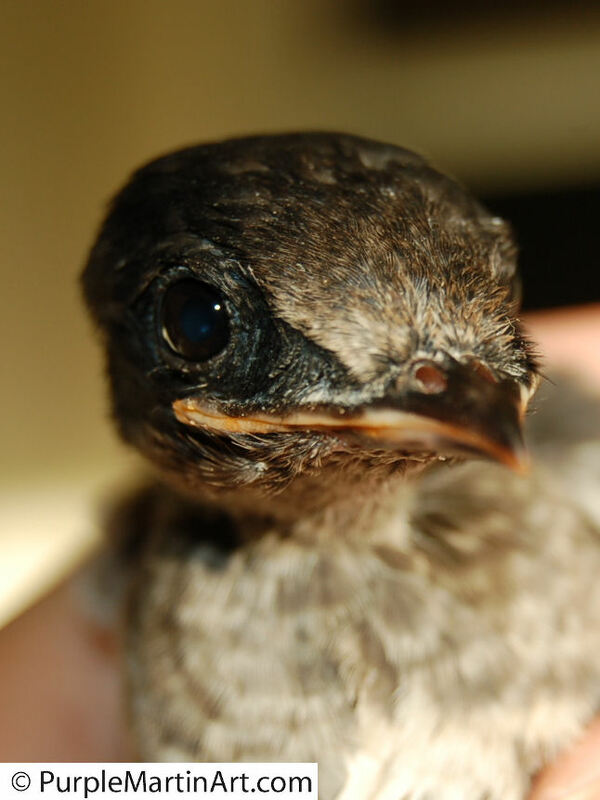 In short, the preliminary data highlighted the dismal survival rate of purple martins released without benefit of the post fledging instruction period given by the parent purple martins. The same info also pointed out a potential revolutionary approach to their release. Last year 3 martins were released AFTER being taught (in a flight cage) how to catch flying insects and 1 of the 3 returned to the natal colony this year. This information is groundbreaking and could give new hope to fledgling purple martins released after rehabilitation. I am unsure if this martin that was released had the benefit of being “taught” the basic survival skill of feeding or even if it was released with other martins which is what is recommended by the PMCA. As of this time, I have not received any reply to my email to Busch Wildlife . On another birding note, a large group of about 15+ nighthawks was moving south bound through the area. Tons of barn swallows feeding in the orange groves nearby also. Fall migration is in full swing. This entry was posted on Wednesday, September 2nd, 2009 at 6:55 pm	and is filed under birding, Fledgelings, Purple martins, Wildbirds. You can follow any responses to this entry through the RSS 2.0 feed. You can skip to the end and leave a response. Pinging is currently not allowed. What a shame they didn’t tell you. I would find a new rehabilitator. You go through the trouble of bringing the birds to them and they can’t call you to tell you whats up? What happened to your old rehab person?